In January, 1947, five (and maybe a “half”) widowed First Ladies were still living. 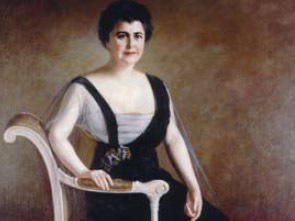 Frances Cleveland was a First Lady of many distinctions. 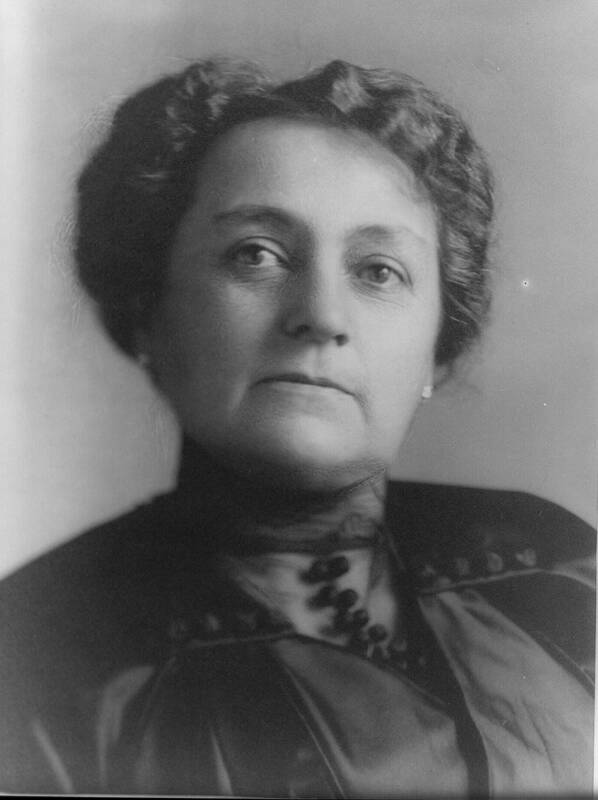 She was First Lady two separate times, during the non-consecutive terms of Grover Cleveland – between 1885-89, and between 1893-97. She was the youngest First Lady: only twenty-one. Grover Cleveland, at forty-nine, was already a sitting President. There was the distinction of being the only First Lady to be married in the White House and the first FLOTUS to have a baby born in the White House. Frances was the first FLOTUS celebrity. Her unauthorized photographs and endorsements were on dozens of products from corsets and hand creams, to cigars and arsenic tablets! The POTUS tried to have legislation passed to prohibit such unauthorized usage, but it went nowhere, and made the advertisers laugh. Widowed in 1908 after more than twenty years of marriage (and five children), Frances was the first widowed FLOTUS to remarry. 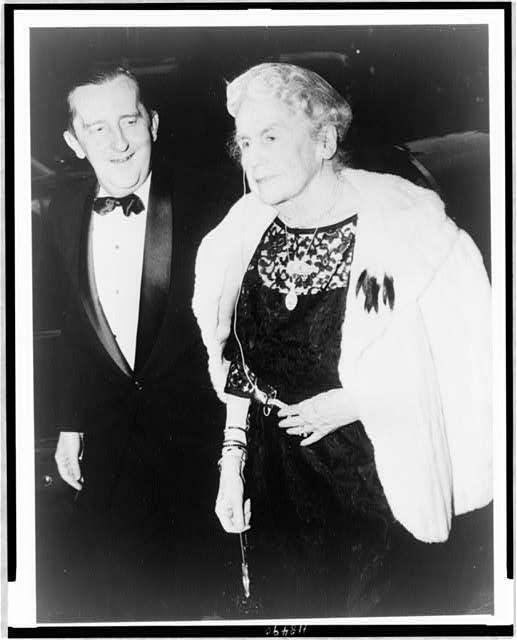 In 1947, she had been married to Princeton Professor Thomas J. Preston for nearly thirty-five years. 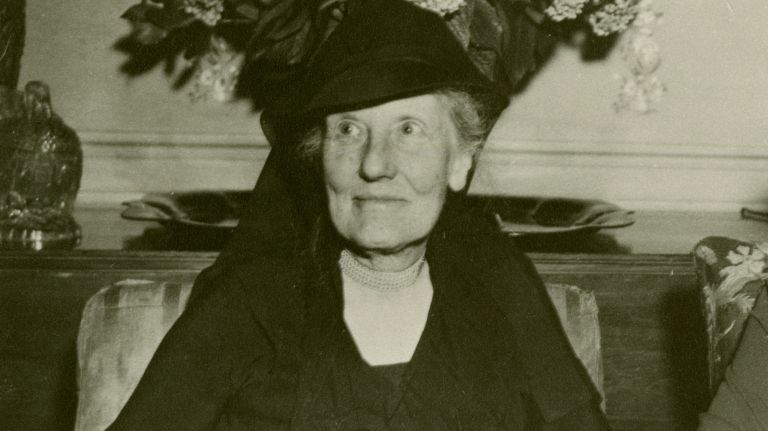 She died on October 29, 1947, at age 83 – and was buried buried beside President Cleveland. 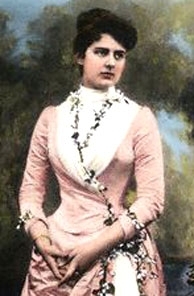 Edith was the Republican Mrs. Roosevelt – Theodore’s wife and First Lady between 1901-09. For many years she was considered “the only First Lady who never made a mistake,” possibly because she was the polar opposite of her ebullient husband with his over-the-top personality. Sensible Edith shunned the spotlight, the photographers and the journalists as much as TR embraced and courted them. 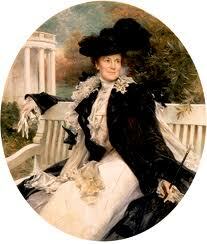 Nevertheless, Edith Roosevelt was responsible for a fair amount of how the White House looks today. When huge renovations were undertaken to create the West Wing in the early days of the 20th century, major revisions were also made to the Mansion itself. Edith gave the East Room its distinctive and majestic look that is still maintained today: white and gold, and sparing in décor. 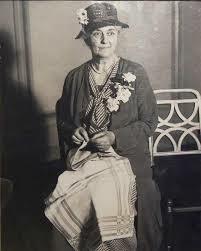 Widowed at 58, she traveled to exotic locations on occasion, but mostly spent her remaining years quietly at Sagamore Hill, on Long Island, surrounded by her children and grandchildren. Happily free from debilitating illness, she lived to 87, dying on September 30, 1948. Both TR and Edith are buried at Sagamore Hill. In a day when First Ladies were expected to be decorous and non-controversial, Edith Wilson was the exception. She was a 43-year-old widow when she married sitting President Woodrow Wilson, only fifteen months after his wife of thirty years had died. A statuesque and imposing woman physically (around 5’9”) she redefined her role as First Lady. When Wilson suffered a massive stroke in 1919, Edith, in a sense, became an alter-ego, tenacious in protecting her invalid husband from anything stressful or upsetting that might further damage his already frail health. Her detractors claimed “petticoat government,” declaring her the first woman president. She never claimed anything but “stewardship,” but she was formidable. After Wilson died in 1924, Edith dedicated herself to perpetuating his legacy. She never missed an opening session of the League of Nations, where she was always the honored guest. She died at 89 in late 1961. Both she and Wilson are buried in Washionton’s National Cathedral – in different locations. As First Lady, Grace Coolidge was compared occasionally to Dolley Madison (only remembered through history books by then). But Grace was stylish with a warm, friendly disposition – the polar opposite of her Silent Cal husband. A U. of VT graduate, she was a teacher for the deaf when she met and married the POTUS-to-be in 1905. Blessed with a teasing sense of humor that balanced well against Coolidge’s wry and dry wit, she welcomed the “pop culture” celebrities who flocked to the White House in the 1920s, eager to have their photo taken with the POTUS. Her “red” portrait, painted by Howard Christy Chandler, is arguably the most popular of the FLOTUS portraits. Once retired from the White House, Grace wrote some magazine articles, but mostly avoided publicity. After Coolidge died in early 1933, she reactivated her interest in the Northampton School for the Deaf, where she had taught years earlier. She was a long-time supporter of the Red Cross and other charitable causes. 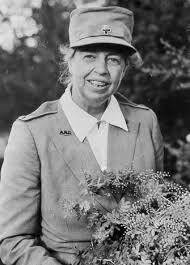 She was 78 when she died, and is buried in the Coolidge family plot in Plymouth Notch, VT.
Arguably the most influential First Lady of all times (so far), Eleanor Roosevelt overcame her shy and introverted nature to become a major political figure, social activist and diplomat in her own right. President Franklin D. Roosevelt, whose polio restricted his physical activity, relied heavily on his capable and articulate wife to be his eyes and ears. During their twelve years in the White House, during a Great Depression and a World War, Eleanor traveled extensive and nearly continually, bringing hope and help to those who seemed to need it the most. When FDR died suddenly in 1945, Eleanor was hard pressed to decide the direction of her new life. Those decisions were made easier when VP-turned-President Harry Truman appointed her as a delegate to the United Nations, a cause that had long been dear to her heart. Dubbed “First Lady of the World” by her many admirers, Eleanor remained active in dozens of social causes until her death in 1962. 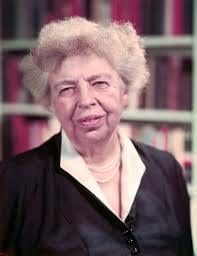 She was 78, and is buried alongside FDR at Hyde Park, NY. This is the “half-a-FLOTUS”. 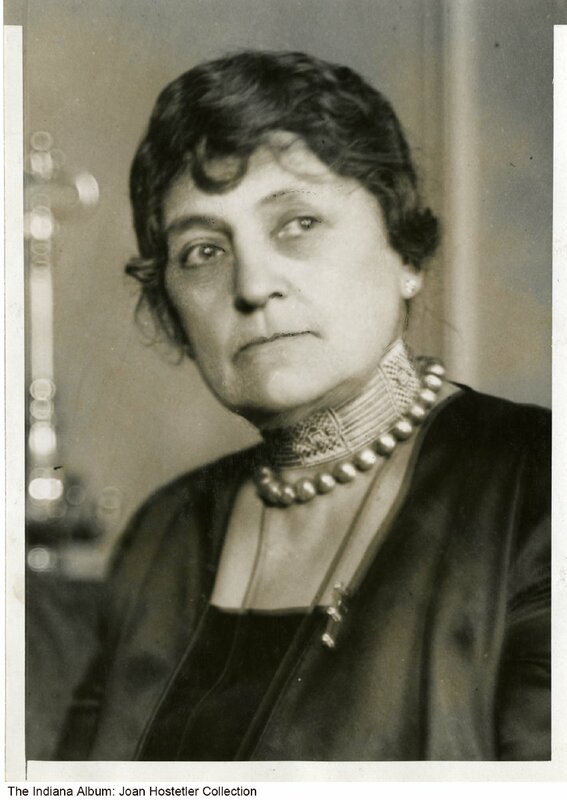 Mary Dimmick spent four full years living in the White House when Benjamin Harrison was President. But she was not his wife. Then. A young widow, she was the niece of Caroline Harrison, the sitting First Lady, and served occasionally as her social secretary. After Caroline Harrison died in 1892, the bereaved President was a lonely man; Mary Dimmick was 35, with no living close kin. The two married in 1896, and the following year had a daughter. Benjamin Harrison died in 1901. Mary never remarried, and lived to be nearly ninety. This entry was posted in A POTUS-FLOTUS Blog, Benjamin Harrison, Calvin Coolidge, Franklin D. Roosevelt, Grover Cleveland, Theodore Roosevelt, Woodrow Wilson and tagged American history, Edith Bolling Galt Wilson, Edith Carow Roosevelt, Eleanor Roosevelt, Feather Schwartz Foster, First Ladies, First Ladies history, First Lady Edith Roosevelt, First Lady Edith Wilson, First Lady Eleanor Roosevelt, First Lady Frances Cleveland, First Lady Grace Coolidge, Frances Folsom Cleveland, Grace Goodhue Coolidge, history, Mary Dimmick Harrison, President Benjamin Harrison, President Calvin Coolidge, President Franklin D Roosevelt, President Grover Cleveland, President Theodore Roosevelt, President Woodrow Wilson, Presidential widows, Presidential Wife Mary Harrison, Presidential wives, US history, White House history. Bookmark the permalink.